Wedding – Multi-Purpose Responsive WordPress Themes comes with Sticky Menu. By default, the sticky menu is designed to use element class “.navbar” as “Sticky Class”. That value should be modified in plugin settings for different themes to make it work. Sticky Class is actually nothing more than an element class (or id) of the element that should become sticky. 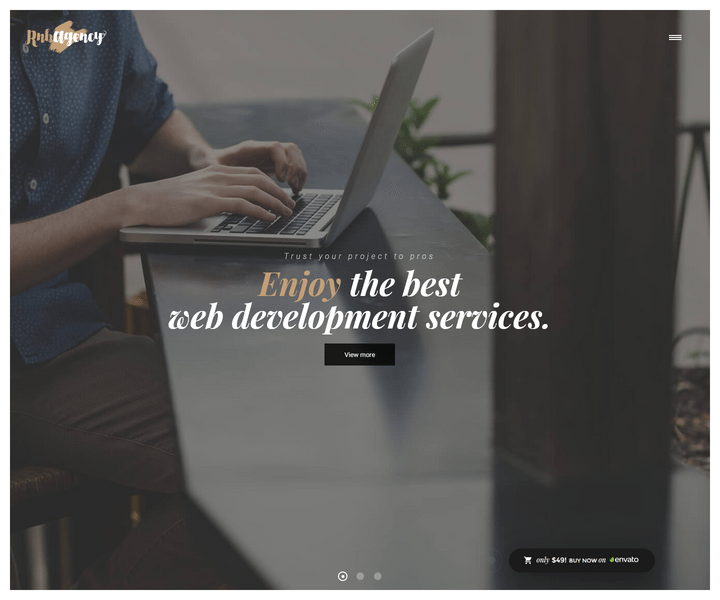 Premium WordPress Themes provides the Slider Revolution. 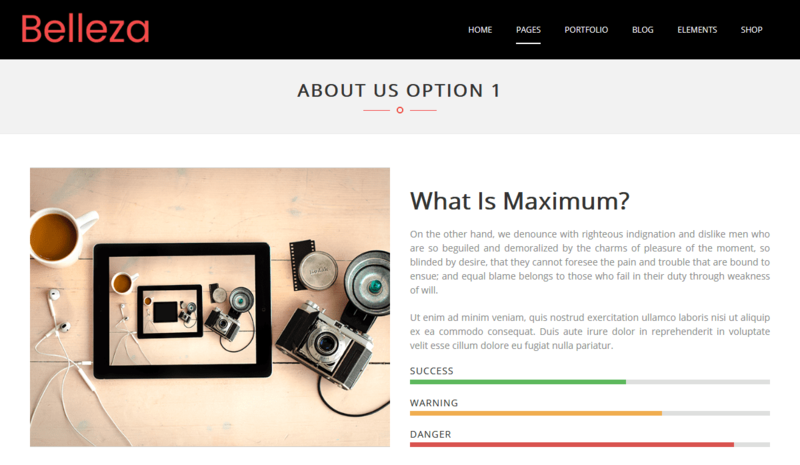 Slider Revolution is an innovative, responsive WordPress Slider Plugin that displays your content in a beautiful way. 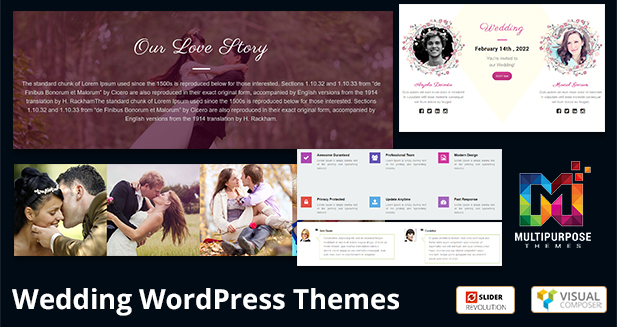 Premium Responsive WordPress Themes comes with Love Story Section. You will see Our love story section, how we met, love proposal section, Our first date section, we got engaged in this section. 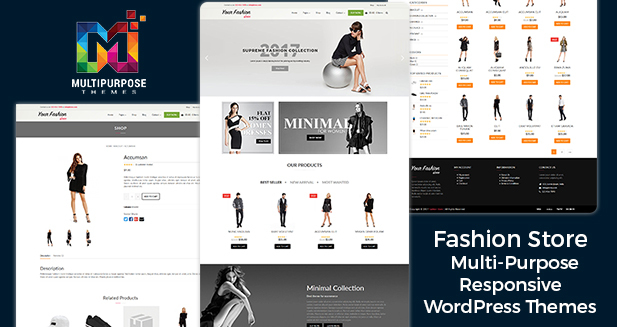 Multipurpose Responsive WordPress Theme comes with Image Gallery Section. You will see images on this section with hover effect. Responsive WordPress Themes provides the Contact form. Add Contact Form to your website so a user can easily connect with you.  Wedding – Multi-Purpose Responsive WordPress Themes comes with About Us. You will see about us option here.